We do Santa and it’s awesome. One blog group I belong to had people telling of spousal spats where religion clashed with consumerism clashed with guilt about lying to their kids. Then the Elf on The Shelf was brought into the debate as just another example of the over-the-top ruse and how we take this thing far too seriously. Well, let me tell you, friends, Christmas is what you make it and in our house that includes an Elf, Advent Calendars, lots of baking, a fake tree, and a visit to Santa. My kids believe in Santa and when I see smiles like this, so do I. How can you not believe in Santa when you see that? AND it doesn’t stop there. 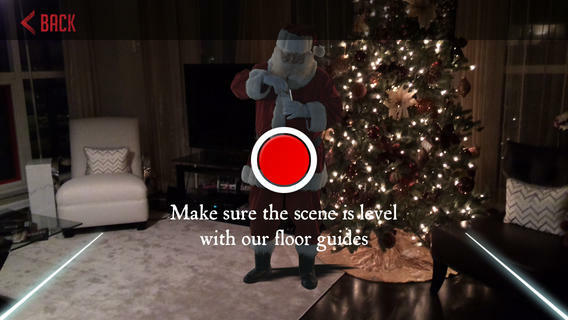 Kringl is a free app that let’s you drop Santa right into your house. Simply use your smart phone to take some video of your living room, kid’s room, wherever. Then choose a clip of Santa to superimpose in the video (much like the Action Movie FX app from JJ Abrams). We’ll get the boys to set up video equipment on Christmas Eve to “capture Santa in the act” and then on Christmas morning, I’ll show it to them. 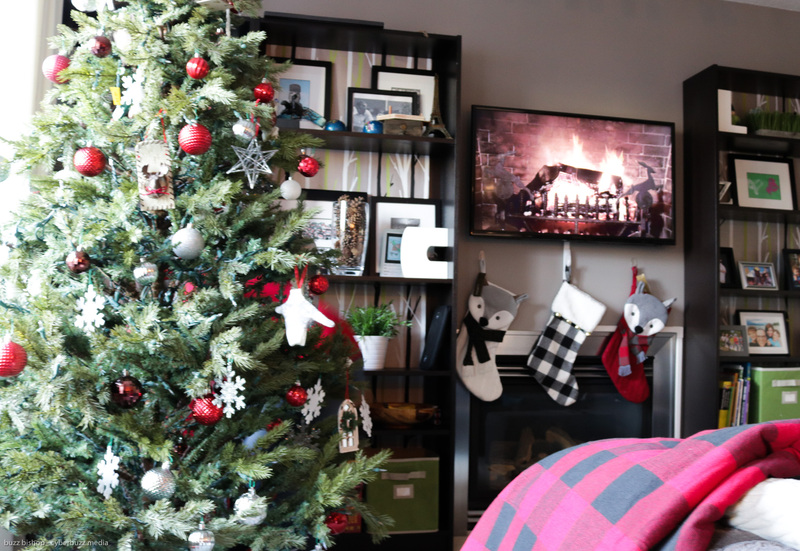 The Santa Spy Cam drops little animations into a photo of your living room. You can have Santa milling about (paid) or spy a little elf peeking around a corner (free). I don’t consider it lying, I consider it celebrating that absolutely wondrous belief in the impossible that children posses. 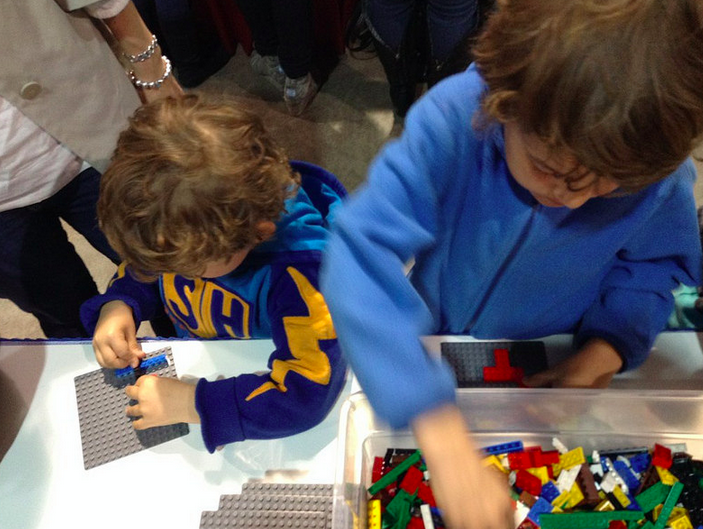 They have an unconditional acceptance of magic without cynicism. What a wonderful stage of life to have. So we do the Easter Bunny, Leprechauns, Switch Witch, Elf On The Shelf, Santa, the whole shebang, thank you very much. 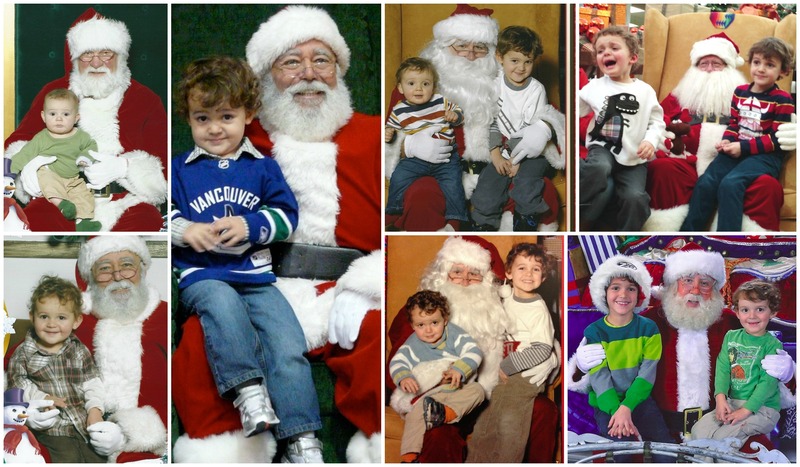 Celebrating Santa makes Christmas accessible to all. It doesn’t matter your religion; Santabrings a gift of kindness, a spirit of charity, and a big fat rosy smile to the season and that is something we can all believe in. So, do you do Santa?